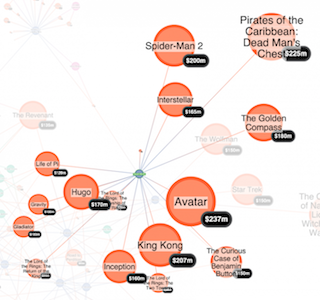 Titan is a scalable, open-source distributed graph database. Using distributed multi-machine clusters, users can store and query hundreds of billions of vertices and edges. Its power and easy integration means it’s a popular back-end option for many KeyLines developers. In this tutorial, we walk through the steps of connecting KeyLines to your Titan 1.0 database. Additionally, our SDK site has a number of Titan demos, available for you to download and customize. 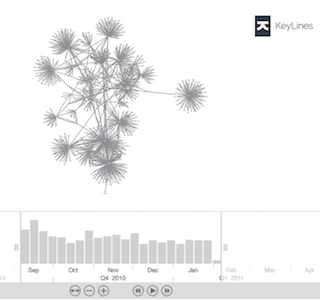 Users interact with their KeyLines chart using their web browser. If an interaction, e.g. right-click, hover, etc., requires new data to be added to the chart, a database query is raised. This is generated by KeyLines in the form of an AJAX request. The AJAX request is passed to Titan, via the Gremlin Server. Titan receives the request and sends the required graph data back to the server, which produces a JSON object for KeyLines. 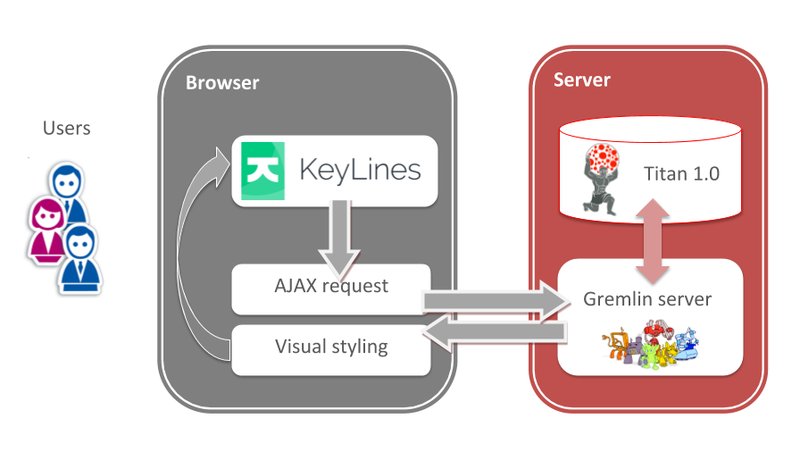 KeyLines renders the data in the browser, using the HTML5 Canvas or WebGL element. TinkerPop3 provides two means of communication between your KeyLines application and Titan – WebSockets or an HTTP REST endpoint. WebSockets is the default option, and works best in scenarios requiring fast and frequent data transfer – for example, real-time data visualization or data streaming. The HTTP channel is your best option if you are migrating from TinkerPop 2.X. In the instructions below, Step 4 has been split into two depending on which option works best for your project. In this tutorial, we’ll explain how to work with the ‘Titan for Hadoop 1’ version. It includes the Gremlin Server and Gremlin Console, so no additional downloads are required. Titan and Hadoop should be configured on the same Java Virtual Machine (JVM), this way the two are able to communicate with each other via process calls. If you need a distributed setup with Titan and Hadoop on separate servers and communication occurring over the network, instructions to set that up can be found in the documentation. GraphSON is TinkerPop3’s file format for graph elements which we’re going to use as our data set. Note, the code will work with any supported format as well. Connecting to Elasticsearch (127.0.0.1:9300).... OK (connected to 127.0.0.1:9300). Connecting to Gremlin-Server (127.0.0.1:8182)..... OK (connected to 127.0.0.1:8182). Change the channelizer value from WebSocketChannelizer to HttpChannellizer. Once you have access to the KeyLines SDK and have configured Titan and the Gremlin Server, you can embed a KeyLines chart into your webpage to view the data. Include the gremlin.js file in your HTML page, inside the element. 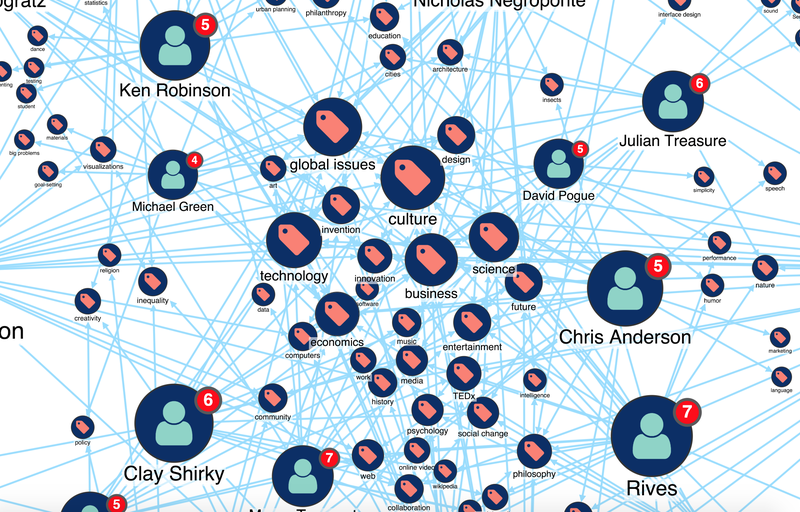 By this point, you should see a KeyLines chart pulling data from your Titan database. The final part of the process is to customize your chart’s appearance, workflow and functionality. KeyLines offers a huge range of different ways to customize your final application – far too many to outline here. Instead we recommend taking a detailed look through the KeyLines SDK documentation, especially the API reference and sample demos. The KeyLines SDK site includes a KeyLines-Titan sample demo, with downloadable source code. Request a KeyLines trial account to get started.